Dental Fillings Offered at Our Commerce Office! 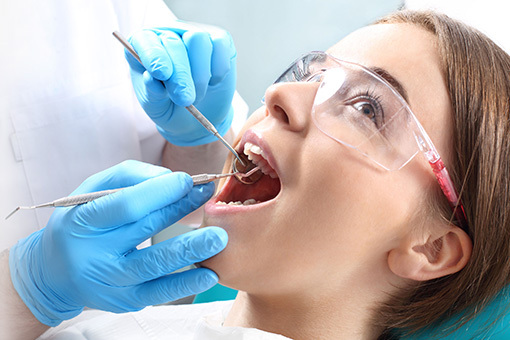 Do you need dental fillings? Call our Lakes Area Dental Practice Today! Dr. Sedki has been helping patients with dental filings for over 15 years! He offers many options for dental restoration of damaged or decayed teeth. Dental filings have become the most common and safe restorative procedure for repairing tooth decay. Restoring a tooth can include the replacement of amalgam fillings with composite white fillings in our mercury safe dental practice. We are able to safely repair your teeth that have been damaged from decay, fractures, cracks, and more. Dr. Sedki is experienced in removing the decayed or affected portion of the tooth and then filling (repairing) with a composite or appropriate filling for your unique circumstance. The majority of our patients prefer white fillings, and we agree! Thy are the most attractive and very durable. White fillings have become a great choice vs silver (amalgam) fillings. The technology has advanced to the point where they have become very strong and effective. Typically, white dental fillings are made of high strength composite resins. These resins can easily be color matched to the surrounding teeth. White fillings are great options for the front teeth as they are aesthetically beautiful. Because of their strength, white fillings can even be used for the back teeth as well. When the cavity is too large for a filling, resin inlay/onlay or white porcelain can be used. An inlay is used used within the cusp tips of the tooth or teeth. Onlays or overlays, will overlay one or more cusps – this will protect and strengthen the tooth. Although we prefer to use white composite fillings, in some circumstances, silver or amalgam fillings are required. Silver can be of concern, as the silver edges sometimes are prone to wear and break. For this reason, amalgam fillings are not ideal, because cavities can begin when the tooth is not protected. In addition to wearing and breaking, silver fillings will contract and expand over time, which increases the chances for them to split. To make matters worse, the mercury in the silver fillings corrode and leak, causing the restorations to turn black, staining the teeth and gums. Are you looking to Replace Old Silver Fillings? Dr. Sedki has helped patients for over 15 years with restorative procedures such as tooth fillings. One of the most effective methods to improve your smile is with white colored tooth fillings. Dr. Sedki believes in mercury-free fillings, however, recognizes that some individuals still have mercury/silver from years past. Dr. Sedki offers free consultations to help potential patients understand the best option for their oral health needs. In general, silver fillings are not aesthetically pleasing, and in the long-term can cause more problems than they are worth. Dental bonding is painless and can offer incredible results in a just a single visit to our Commerce office. Bonding is effective in hiding natural flaws via a thin plastic coating on the front teeth. Once the tooth surface is prepared, we then apply bonding material that is colored and shaped for each patients’ specific needs. To complete the installation a high intensity light source hardens the plastic and the new surface is smoothed and polished creating the perfect smile! Of the many benefits of bonding, most notably, bonding lightens stains, corrects crooked teeth, and closes gaps. Contact Dr. Sedki’s office today, and let’s begin your transformation to the smile you deserve. Your Commerce Township dental professional will be more than happy to discuss the options open to you, and together we can decide on the best course of action for you. We are a full-service dental office and are accepting new patients! We can accommodate your unique circumstance including regular checkups, children’s dentistry, and many payment options. Also, please keep in mind, like most of our other services, these treatments are covered by most dental insurance.